Stock product - detailed vector illustration - Isometric People Collection - Policeman 02 - created by Aurielaki. Image formats EPS AI JPG. 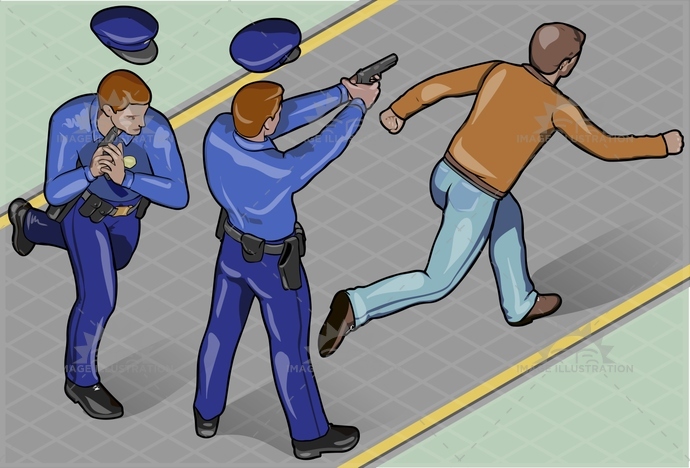 SKU: Policeman-02-People-Isometric-AurielAki. Category: Isometric Police People 3D. Tags: arrest, background, badge, chase, city, cop, crime, criminal, escape, fire, gangster, guard, hat, isometric, justice, landscape, law, man, person, police, policeman, road, robber, robbery, run, security, shoot, theft, thief, uniform.